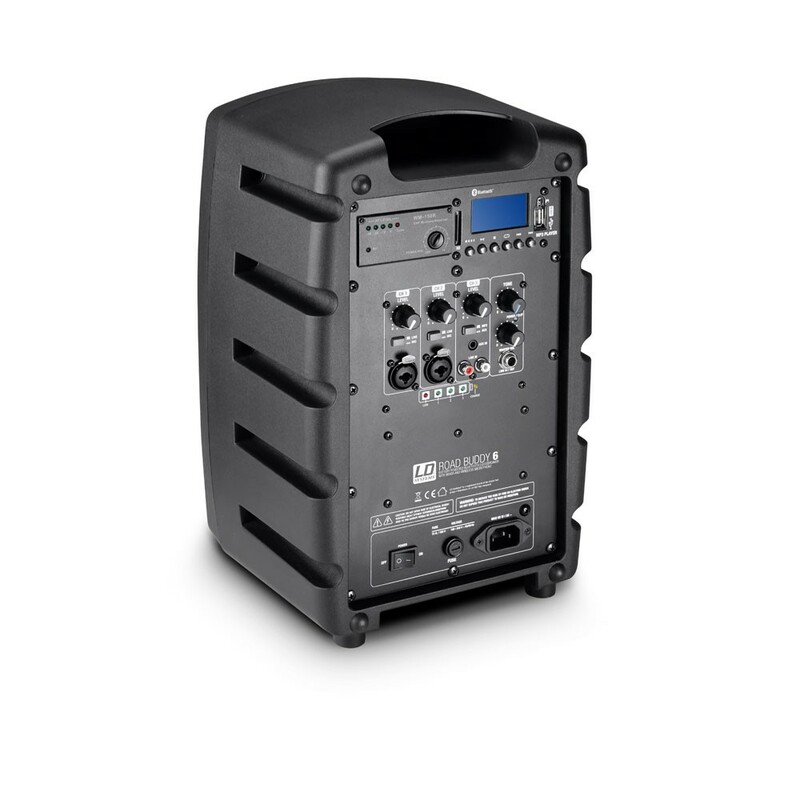 The Roadbuddy 6 is the ultra-compact complete solution for voice and music and can be operated for up to 5 hours thanks to a high-quality battery. 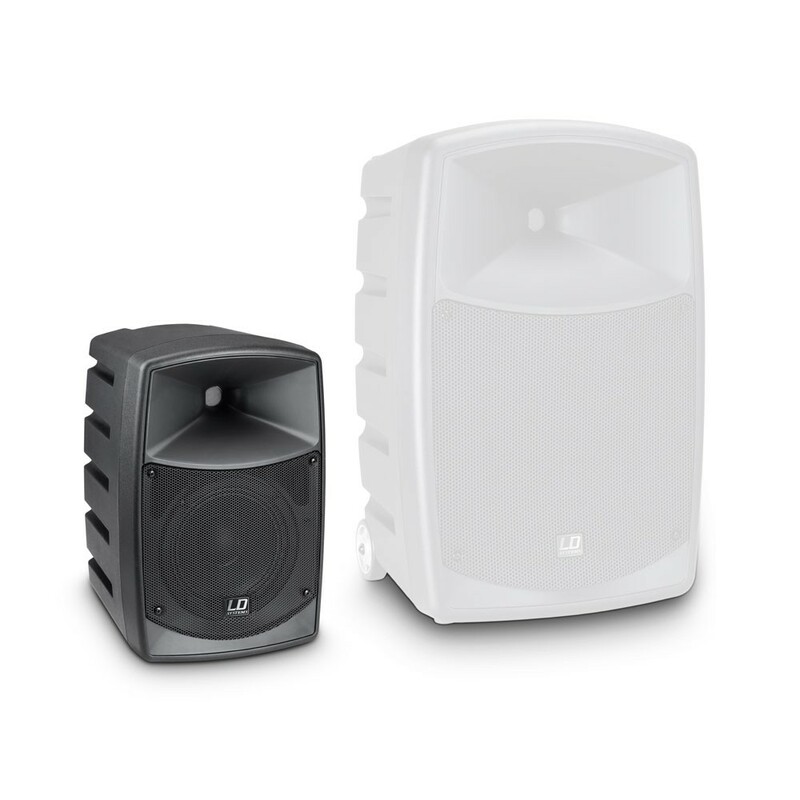 A Class-D power amplifier with 200 watts peak performance powers the combination of 6" woofer and 1" compression driver, which reach a maximum sound pressure level of 110 dB. 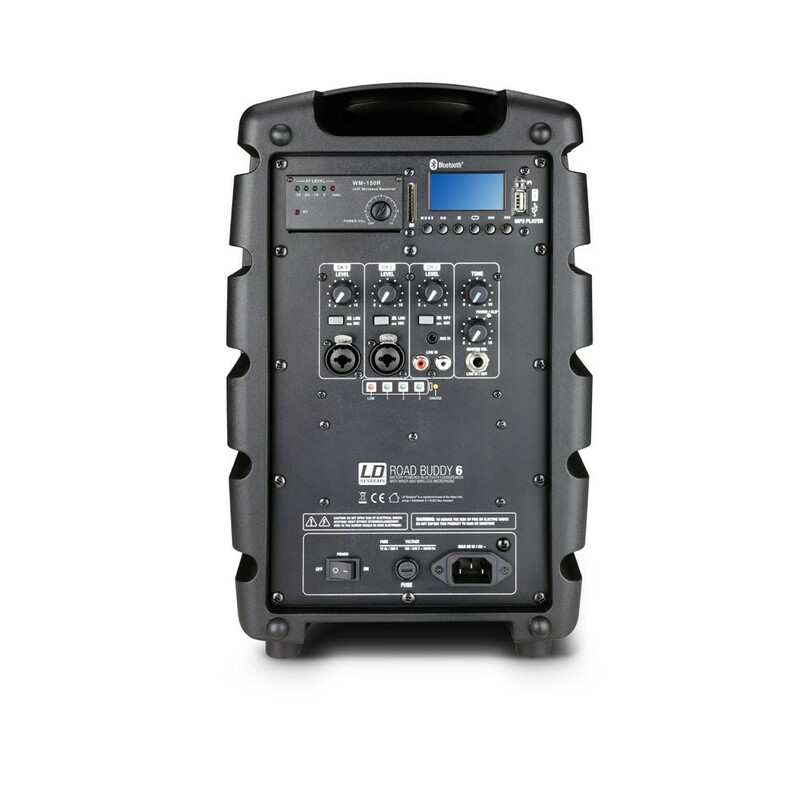 The Roadbuddy 6 is easily transportable and can be operated totally wirelessly using Bluetooth and a wireless microphone. 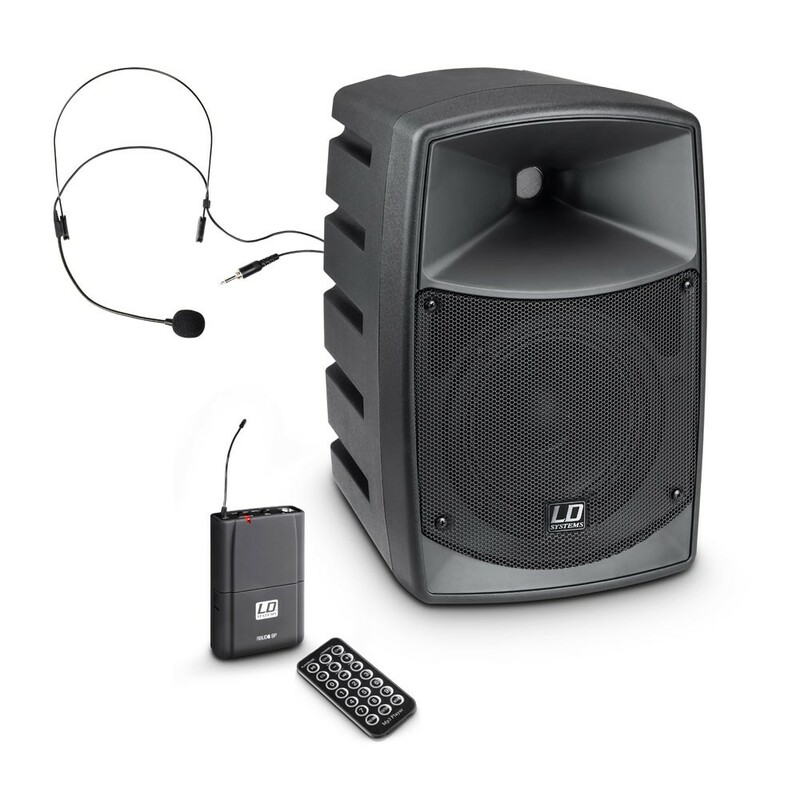 The integrated FM receiver works in the license-free 863–865 MHz range (864,000 Hz), the Bluetooth player plays MP3, WAV, and WMA files and features a USB port and an SD card slot. 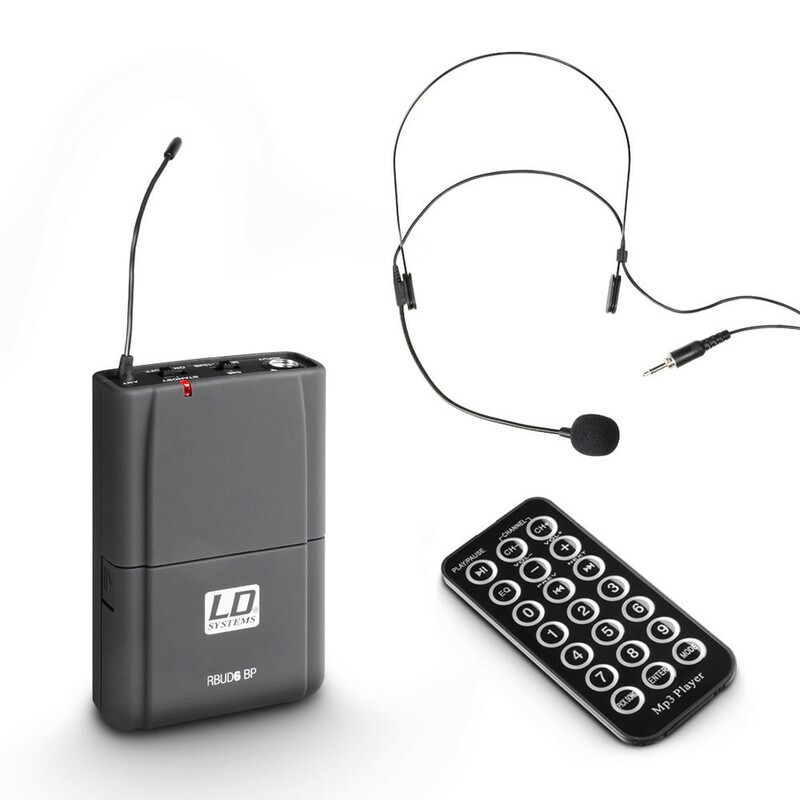 A handheld microphone (LDRBUD6) or a headset with Bodypack (LDRBUD6HS) and an IR remote control for the player are included. Wired devices can of course also be connected to the Roadbuddy 6. 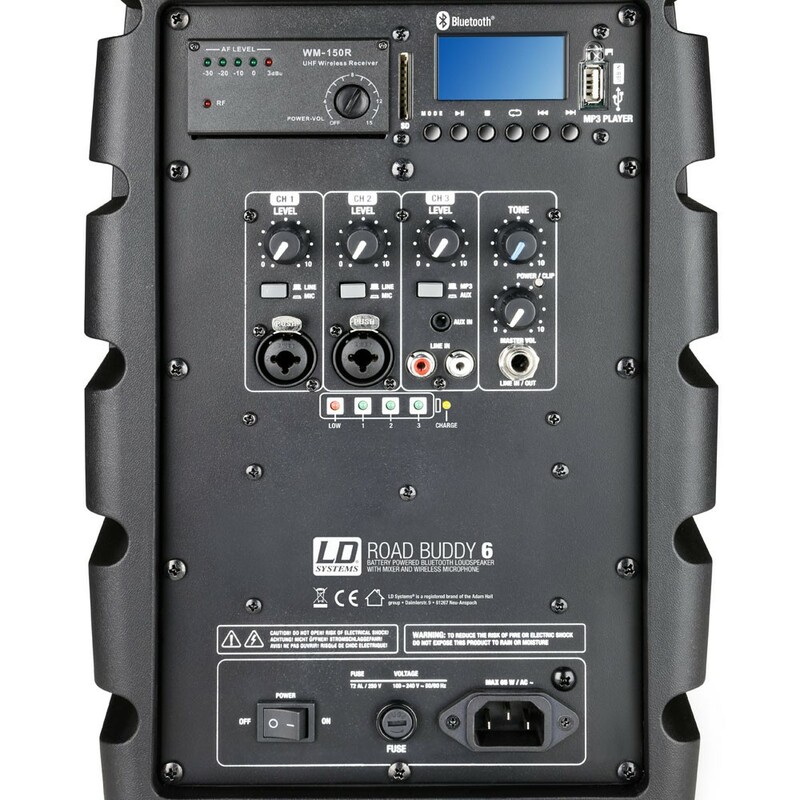 For this purpose, two controllable Mic-Line channels with combo sockets, a monosummed stereo input with RCA jacks (cinch) and an AUX input via 3.5 mm mini jack are provided. A master volume and master tone controller round off the package, which comes in rugged plastic housing with a 35 mm flange adapter.